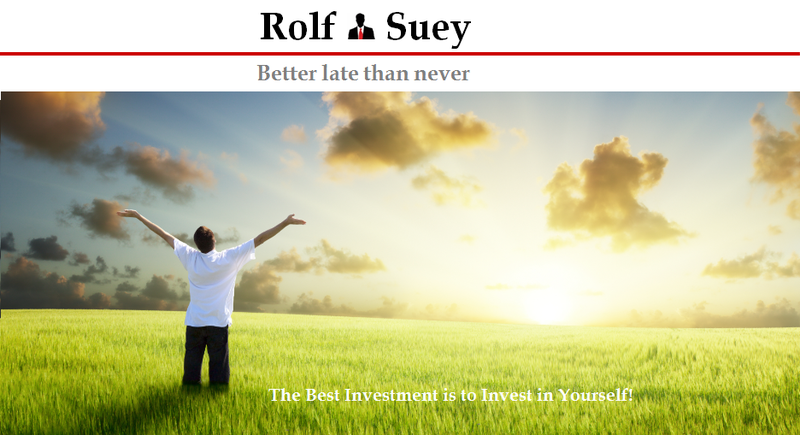 Rolf Suey - Better Late Than Never: Reits or Business Trusts? Met up with friend today for dinner. I try to explain difference between Reits and Business Trusts, but somehow it is not very convincing. Here is link to explain in detail. Most common reason to invest in Reits or Trusts is for the dividend return. Extracted herewith - "The attractiveness of Reits or Trusts lie in their ability to pay a regular and stable dividend. This is a big plus in a portfolio. Re-search into long-term returns shows that reinvested dividends comprise the bulk of returns, compared to capital appreciation." The main difference explain as follows, although there are more differences as show in earlier link or as shown in the structure/table below. Reit – assets are held by a trustee on unitholders’ behalf. 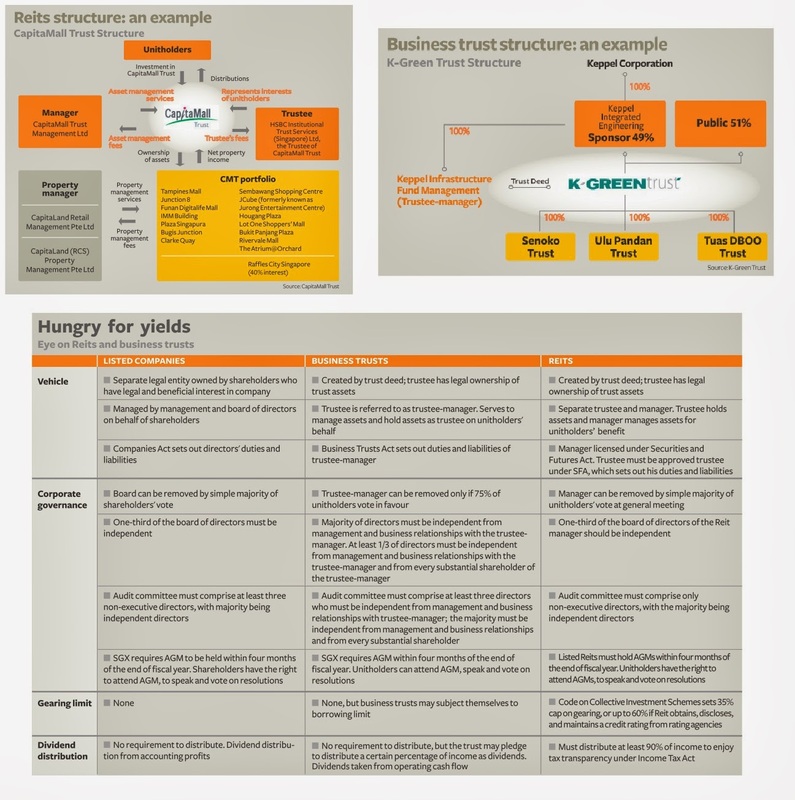 Separation of roles between trustee and the manager. Trusts – hybrid structure which trustee has legal ownership of trust assets and mange assets for unitholders’ benefit. Reits - gearing limit of 35 per cent. This can be raised to 60 per cent if the Reit obtains, discloses and maintains a credit rating from rating agencies. Reits - Must distribute min. 90% of income to enjoy tax transparency under Income Tax Act. Trusts - No requirement to distribute, but the trust may pledge to distribute a certain percentage of income as dividends. E.g. Croesus Retail Trust pledge 100% distribution for first 2 years after IPO last year. For subscription, you can refer to upper right screen (web version and not mobile view). Then under "Subscribe and be Notified of Posts by Email" just key in your email and submit.